Improve your internet speed and earn passive income with NOIA ! In the early years of internet boom, web pages consisted of just lines of markup text and a few matching images. Surfing web pages was anything but difficult and slow, provided a certain level of signal strength could be met by your service provider. Internet experience has transformed since then though. In more recent times,data intensive activities such as live content streaming, online gaming, video conferences etc have becoming an indelible aspect of our everyday internet surfing and one would think it commensurate for internet speed to be improved to match the ever increasing demands but unfortunately, that hasn't been the case. 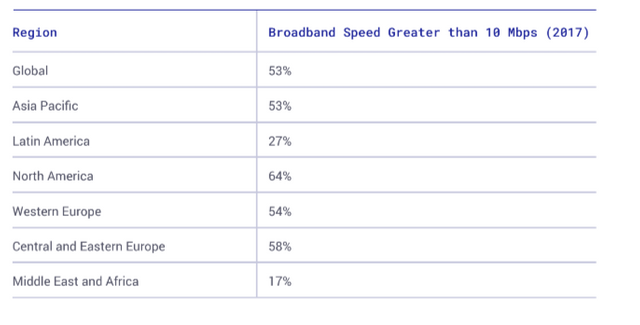 Content Delivery Networks came into the picture and in all fairness, they've done much better in terms of speeding up load time. They're basically formed by distributing servers across different geographical locations, so that when a web page is requested, it is easily pulled out from the nearest server, instead of having to go all the way through the original host server. CDNs considerably saves time and has proven to be quite an interesting concept, as well as a solid solution but for a few bottlenecks which has almost totally overshadowed it's effectiveness. Most CDN providers concentrate on or locate their servers in densely populated areas as a strategy to increase revenue. This means that such services are hardly available to people in sparsely or low populated regions. The current CDN market is dominated by frontrunners, Akamai and Amazon. Infact, their combined shares is approximately 50% of the market's total, hence, customers are left to suffer the effects of a duopolistic market. CDNs are centralised, and at such, have a point of failure. They possess centralised servers for functionality which in course of operation are prone to hacks, failure, and other similar bottlenecks associated with such systems. In such scenario, the entire network will be rendered dormant, and customers will not be able to use the services until it is rectified. Extra costs are also incurred as a result of server maintenance, hardware upgrades etc. Service costs of Content Delivery Networks are on the high side. Most CDNs charge an average of 0.085-0.16USD per GB, and this is very expensive to the average internet user. NOIA provides a major improvement on the existing solutions by allowing unused bandwidth on computers,routers and data centres to form distributed/decentralised points of presence (PoP) capable of caching web content and delivering to users on request. In this publication, we shall learn how NOIA will arrest the shortcomings of modern day CDN market by not only providing decentralized and fast internet, but also allowing us earn cryptocurrency in the process . NOIA is a content delivery network that leverages blockchain technology to provide an autonomous, distributed internet. 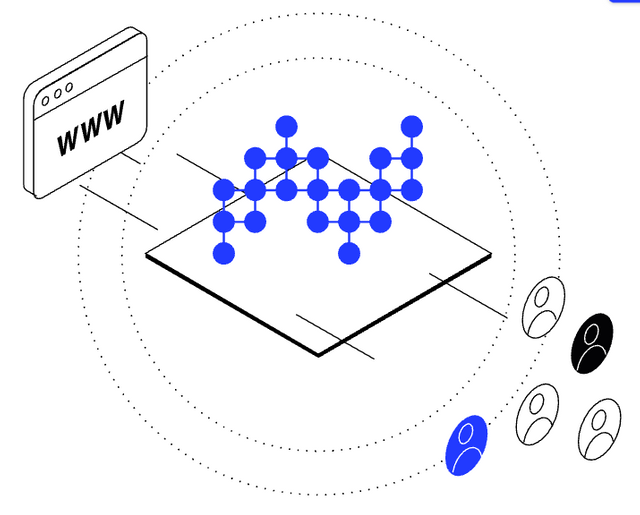 Rather than making use of centralised servers at strategic locations to cache web content, NOIA allows individuals to allocate unused bandwidth or storage space on their computers in exchange for NOIA tokens. These computers or nodes act as PoPs in the network, performing similar tasks as servers in traditional CDNs albeit, in a more efficient and reliable manner . The available bandwidth is sold to website owners so as to enable them cache their web content across the decentralised nodes. When such webpage is requested, NOIA's artificial intelligence algorithm determines and selects the preferred node that will deliver the web content at the fastest load time possible to the user. This is very similar to the distance-vector routing protocol in data networks that determines the best route for data packets based on distance. Since it is a decentralised network, users and website owners can rest easy without having to bother about security concerns, server downtime, hardware upgrade, maintenance and other tailbacks associated with central servers . Content Delivery on NOIA is significantly cheaper than other alternatives. On reaching hard cap,it is expected to cost about 0.01USD per GB, which is about 8times cheaper than the average price of other CDN providers. Load time and internet speed generally is greatly increased on NOIA network and is very suitable for virtually every data intensive requirement . It is very efficient and reliable. Users are assured a 24/7 uptime since the decentralised network is devoid of server related issues. NOIA helps website operators by delivering contents at reduced costs compared to prices charged by other centralised CDNs. On NOIA network, you can earn passive income simply by providing bandwidth through your unused PC storage and keeping it on for some hours. This will be discussed extensively in a later section of this article but if you can't wait to start earning, you can simply Join The Testnet! NOIA combines two structural elements in order to provide an efficient and fully functional ecosystem. The first element, the Content Scaling Layer intertwines a peer to peer(P2P) file sharing protocol and artificial intelligence technologies to determine how content is scaled and delivered in the network . P2P content scaling protocol "employs relevant parts of Peer Exchange (PEX), Bittorent, Distributed Hash Table (DHT) and Websocket wire protocols" in order to ensure seamless file sharing . Artificial intelligence plays a major role in determining how content is delivered . NOIA's content scaling layer makes use of mathematical algorithms in forecasting traffic along network routes and in determining the least-cost route between any two nodes or between node and requesting device, hence, the fastest route/node to deliver content can be determined. Smart Caching is another way artificial intelligence is applied in NOIA's operation. Since it is basically a decentralised network of nodes, Smart Caching makes it easier to cache web content by simply sharing the actual cache memory across all the network nodes. The second structural element is the **Governance Layer** . For an incentive-driven ecosystem like NOIA where value (tokens) are constantly transferred between nodes and users, there is need to control the flow of value to maintain efficiency, transparency and to uphold customer confidence and this is made possible through smart contracts on the ethereum blockchain. Basically, while the Content Scaling Layer is responsible for how content is delivered, the Governance Layer is solely charged with controlling value flow in the network. 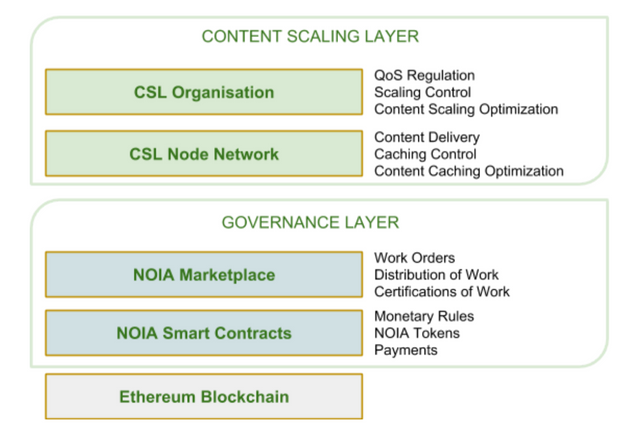 Due to limitations in technology required to implement a decentralised organisation presently, NOIA will launch it's content scaling layer on a centralised point in the network, referred to as the CSL Cloud Controller model. This is to enable proper functionality and to reduce risk factors in the early, developmental stages . With future technological advancement and consequent availability of decentralised infrastructures, NOIA will run a fully decentralised and autonomous system through the CSL DAO concept model. CSL Cloud Controller: The cloud controller is the major element in the CSL Stack. It communicates directly with the master nodes and is tasked with maintaining a desired Quality of Service (QoS). To attain this, it directs the master nodes on how to get the best possible result from the worker nodes in terms of caching and data delivery, it also reserves the right to detect and subsequently eliminate dysfunctional master nodes from the system . 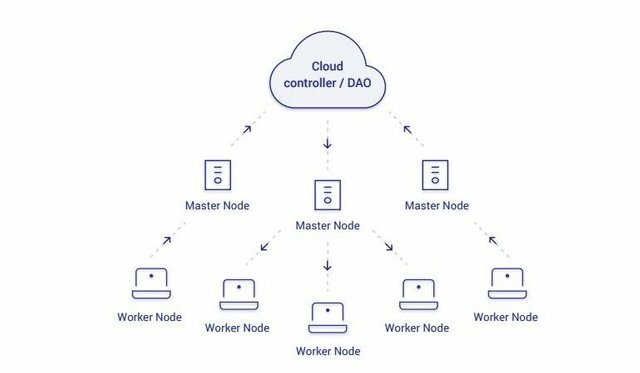 CSL Master node client : The master node acts an as intermediary/middleman, linking the cloud controller to the worker nodes. They are saddled with the responsibility of balancing load across worker nodes, discovering fastest content delivery routes, handling user's request and implementing scaling commands. CSL Worker node client: The worker client node allows virtually anyone to lease unused storage space on their computer, thereby becoming PoP for content delivery. The worker node client is ready for installation on Windows, Linux and Mac OS. Join NOIA Testnet and earn passive income!! NOIA presents an opportunity for you to earn passive income by simply allowing them utilise unused storage on your PC and ensuring your device is on for at least 72hours per week . Quite simple right ? Thought so too ! The first phase requires only 2000 people to deploy resources and earn 200 NOIA tokens weekly, so don't wait for tomorrow, be among the first to contribute your bandwidth and storage resources to NOIA Network. Here's how you can easily start earning NOIA tokens by becoming a PoP on the network . Create an account on the NOIA network dashboard and complete your KYC in a few steps. (Takes just a couple of hours or less to be reviewed and verified). The NOIA Node Client is an open source software that allows users allocate their storage and run all the network activities . You can download, install and run the software on your PC. Make sure you use the same ETH address used for KYC on the Node settings and have the 8058 UDP data port and 8048 TCP control port opened. Finally, the Node Client on your PC must be left to run for at least 72hours per week to qualify for rewards. You can be sure it won't affect your other activities on the PC as the software runs pretty smoothly without lag, all that's required is to leave it running in the background. You don't have to wait until your KYC is verified,you can start running your node and get rewarded for the recorded time. To increase earnings, share your unique referral link to your friends, inviting them to join the testnet. How does NOIA fare against alternatives ? The CDN market is a fast growing industry with a number of reputable players so definitely, customers have a wide range of options to explore. It is therefore important to observe how NOIA ranks amongst alternatives to give a picture of futuristic market acceptance. Here's a tabular overview . Internet service providers currently struggle to meet the growing demands of users presently and it's not yet clear how they'll fare a couple years from now,when Cisco predicts that 82% of all IP traffic will be video content. CDNs proved to be a viable solution, but growth and generally acceptance has been curtailed by drawbacks such as high costs of services, probability of failure and low network coverage due to relatively few and sparsely located servers . NOIA's emergence into the CDN market births a new era that unearths the possibility of caching and delivering web content through unused PC storage acting as PoP in the network. NOIA's concept will not just benefit users through cheaper and faster internet, but also presents healthy benefits to website operators as their content is able to reach a global audience in a highly efficient manner. NOIA's incentivized ecosystem will be fueled by its ERC223 (also ERC20 compatible) compliant NOIA tokens, which is the native token used for transactions on the network . Asides being used by site operators to pay nodes for delivering their content to users, NOIA tokens are also used to reward individuals for acting as PoPs . Presently, 1NOIA token represents about 5Gb of data. NOIA tokens are more than just a means of value transfer; they play a very vital role in network governance, maintaining transparency and optimum efficiency amongst worker nodes. On detection of fraudulent or malicious acts by nodes, they'll be made to forfeit payment and consequently, suffer reputation loss. Feel free to share your thoughts and ideas on this project in the comment section below . @danielwrites... I must say you've done a very great job to come up with this lovely and explicit write up about NOIA Network. I have learnt alot from your write up. In more recent times,data intensive activities such as live content streaming, online gaming, video conferences etc have becoming an indelible aspect of our everyday internet surfing and one would think it commensurate for internet speed to be improved to match the ever increasing demands but unfortunately, that hasn't been the case. You are absolutely right about this and I strongly corroborate with your statement. Sometimes the internet isn't favourable for me to stream online or watch movies online. This usually get me frustrated sometimes such that I will just have to quit the movie. Also it sometimes happens when I want to download large files online such that the downloading maybe very slow due to the poor network system. I believe with NOIA Network, this kind of problems will decrease and it will make the internet more attractive to me to surf online and download files easily. Thanks for sharing this great post with love from @hardaeborla 😁🙌💗 in courtesy of @crypto.piotr. Thanks for sharing your thoughts and experiences, my friend. Poor internet service can ruin what should be an otherwise fun activity and I know firsthand what it's like. Most often, proximity from servers and network equipments are to blame for consequent reduction in signal strength . With NOIA running an incentivized system, there is likely to be a swarm of nodes around you in the coming days, so prepare for that swift internet you so desire ! Lol . Hope you joined the testnet already ? You are really talented writer and I will definitely take a close look to your profile. NOIA also seems to be a project worth supporting. Hello Weronika, thanks for the kind words :) Tried my best to make it understandable for everyone. NOIA tokens are the native currency used to transact on NOIA and 200noia tokens are worth about 10USD at the moment, will consider adding that as you said . @danielwrites Thak you for this great article on this tech ! Was the first time i heard about it ! The only thing that pinch me is do you know how their AI is working ? And is it already live ? because this could clearly be one of the strugling part to make the delivery of data. The AI has to work in decentralized way. How can it scan all the demand in a fast way ? Because if the AI take time to redirect, it means that the user is waiting during the redirection. Any number on that ? Thanks !! Hello ! @foufrix, while AI is not exactly my forte, I know a thing or two concerning how these algorithms operate. Ever heard of machine learning and pattern recognition? These algorithms weren't made to scan and deliver data in a nutshell but rather, they recognise routing patterns overtime and become more and more efficient in handling these tasks. Even speech recognition systems require training, where a user inputs his voice for the system to run analysis and consequently improve efficiency. So you can be rest assured that the AI will discover regularities in routing content and that will go a long way in improving speed and efficiency . I see that you have detailed your article very well, I congratulate you for your great work! Together we have promoted the NOIA project tirelessly and you have played an important role with this incredible publication! After the HF20 I can say that NOIA joins the chain of STEEM blocks, contributing its technology with which users can have more activity, since their PCs will be faster than ever, thanks to the system update and the contribution of bandwidth offered by NOIA! I could also recommend NOIA NETWORK to certain new communities that join STEEMIT.COM, as they will have more storage resources to work as a team and take their work forward! It should be noted that, through the TESTNET, they can generate NOIA Tokens for their securities portfolio and thus boost their economies that are just being born! Greetings to all our classmates and luck to NOIA NETWORK in this new stage! I find your idea of Steemit-Noia integration quite fascinating and of course, I'll love to see that in the nearest future . Indeed, NOIA is definitely at the forefront as it's application has no limitations . Lets see if this coin has the future. I think this coin has great potential for the future. I foresee this coin really helping out the areas of the world that are not densely populated or have large datacenters where companies house their servers. I like your point of view here. The internet should be readily accessible to low populated areas lacking those equipments too, and this idea alone makes NOIA a futuristic project with potentials. Thanks! I agree but however we all know that large companies only care about 1 thing: their bottom line. It is not worth their money to help these areas out so this also introduces a great opportunity for NOIA to come in and help them. They can contract their services out to these large companies and benefit the companies as well as the people in these areas. 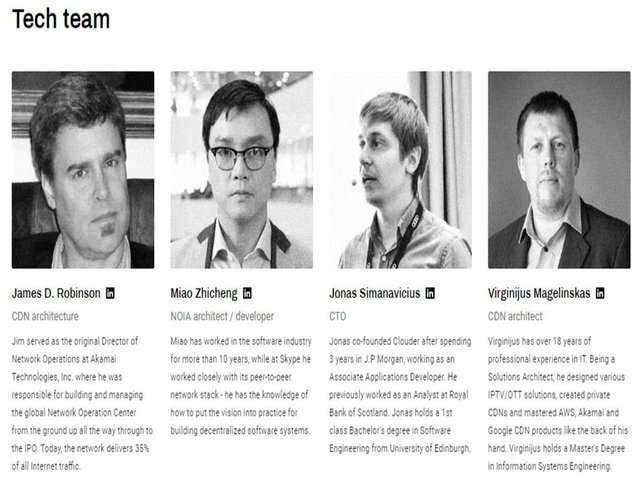 I only hope that NOIA does not get bought by these large companies when they realize how important this project could be for the world. Too often companies like Amazon and Microsoft will see a product such as this with seemingly unlimited potential for success and they buy the company to shut it down so that it cannot compete with their business model. It is a bad way to do business! You have a great point there . 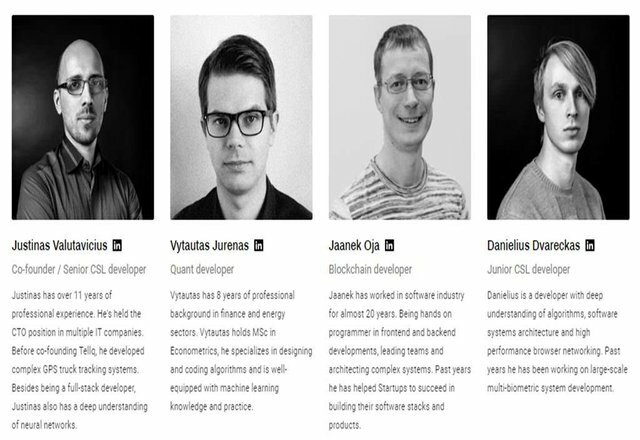 We can't but hope the NOIA team will be very dogged, determined and confident towards achieving their goal, and more importantly, having sufficient funds to fuel the project. Indeed, it's a bad way to do business, but like we mutually agree on, there's only one thing they care about . Good summary. This is certainly one of the more fundamental projects i know in crypto, and certainly it has a good approach, were blockchain tech can genuinly used. What i don't like about it is the requirement for KYC. As it's a mere technical solution i feel this isn't needed it all. Hello @conceptskip. I think the KYC is very important; asides building a legal and trustworthy market place, it also goes a long way in boosting the confidence of investors and customers (website operators) who have to pay to get their content delivered. Futhermore, the possibility of worker nodes to engage in fraudulent and malicious acts even all the more necessitates a proper means of identification at least. Thanks for your invaluable contributions mate ! You got a 6.06% upvote from @postpromoter courtesy of @crypto.piotr! You should bro , join the testnet too if you can . Thanks for the heads up. Checking this out now. Then you should Join the testnet! Great review, I particularly like how you shared the possibility that this project can help alleviate the poor connection speeds in parts of the world that are not well represented or densely populated. I feel the same way! Thanks mate ! Indeed, that's the focal point for me, residing in the "other half of the world's region" with less than 10mbps internet speed. Very well written review @danielwrites. You managed to explain everything very clearly and it is much easier to understand aim of this project. Wow, I haven't known that before. 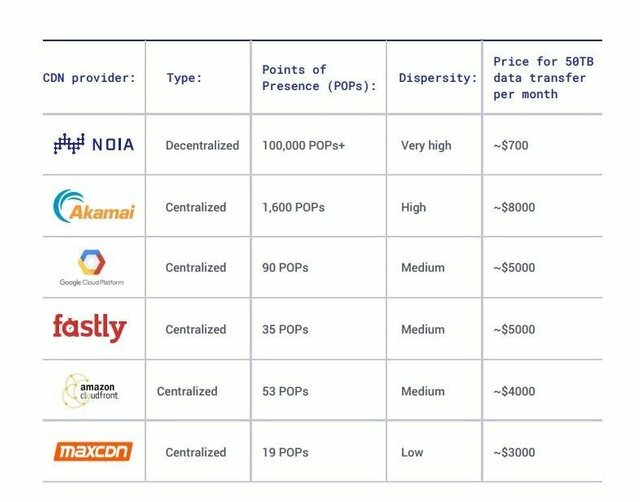 As NOIA token represents a real amount of transferred data, its price will be significantly more stable than the rest of altcoins. Am I right? Thanks for the kind comments and for dropping by . I was glued right from the beginning. Nice write-up @danielwrites. It shows NOIA would waste no time in going mainstream. Who wouldn't love the idea of faster internet and 24/7 uptime. I must say you have done a great job in explaining explicitly: first the problem of the internet, what NOIA is and how it addresses the issue. I'm checking it out too. I'm positive NOIA will achieve mainstream adoption, just like you've said . They're bringing to the table, what has not been seen in the CDN market before so I say it's just a matter of time . Afterall, everybody loves fast and cheap internet and of course, everybody loves a side income that requires no stress. There's absolutely no loss with NOIA, it doesn't get better than this ! Thanks for the kind comments buddy, glad I was able to create an understandable review on this revolutionary project. Thanks for the insightful article. NOIA is obviously a revolutionary project. Enabling participants to passively earn by sharing some hardware resource is a laudable incentive, truly. Great job here! Indeed it is ! Hopefully, NOIA will become a household name real soon, and everyone will be able to enjoy the benefits of the distributed internet . Thanks for sharing your thoughts on this ! NOIA is a project that you can see has a bright future, this project will change everything about content distribution. It is worth participating in the tesnet of NOIA as it is very simple and we can generate income along the way, apart from that we would also be collaborating with the improvement of the project. Very good entry friend, I liked very much all the information about NOIA. Everyone that's a part of it knows the testnet is definitely worth participating . Like you said, it's very nice to be able to do your own bit towards improving internet speed, rewards makes it all the more desirable. A laudable project to say the least. CDN and solution offered by NOIA is definetly way to go. Definetly this project may have a great impact on future experience while surfing online. 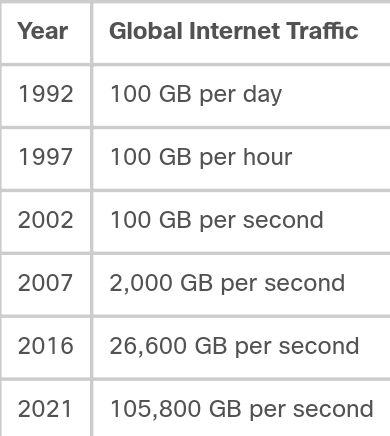 It's very important that we get a clearer picture of how internet demands have transmuted overtime (progressed) and how internet infrastructure has moved in the opposite direction. I also remember having to switch off the "load images" option on my opera browser just to improve load time 😂 so we've in one way or the other had our fair share . Excellent review you have here brother , NOIA Network will really change the way the internet works. Thanks for the resteem buddy. It definitely will, and I'm glad to be a part of this innovative project ! Nice review @danielwrites. I did not know about the token value or I just missed it before. So, 1 NOIA token is equal to 5 GB of data, that's like as cheap as it gets! Quite a comprehensive review. I am quite certain that they would be overflowing with testnet request already. Personally, I feel this is one solution which is going to be blockbuster and take on the big guns! Interesting days ahead for the CDN market! Definitely, affordability is one of NOIA's selling points . Currently, CDN services are mostly used by big organisations that can afford to pay for them. NOIA believes that low income earners, low revenue firms and sparsely populated region should also enjoy the benefits of fast and cheap internet. Love how you start with global infrastructure in that first table. It amazes me how the world has regressed from placing importance on global connectivity. Blockchain tech cannot exist without a macro perspective. NOIA especially, is about empowering small business on a worldwide platform without the interference from useless (and outdated) infrastructure that invades the web. A brilliant contribution, I must say. Funny how we drifted away from what matters - improving what has basically been the backbone of many other innovations and businesses. I like that you've highlighted how small businesses will particularly benefit from NOIA, as they may not be able to afford the high costs of other CDNs. what do I need to take a part in their testnet? Hello @aboel3z ! All you need is a PC and an internet connection to set it up your node . You can join the testnet here in a few steps. If you encounter any difficulties, do not hesitate to drop a comment . I'll be on hand to assist anyway I can. Thanks mate ! Do join the testnet if you can. I'm inclined to note that with Noia the available bandwidth is sold to website owners so as to enable them cache their web content across the decentralised nodes. Thanks @danielwrites for such fascinating information about this wonderful platform. You're absolutely correct buddy ! Thanks for the kind words and be sure to join the testnet. Yes mate, you can earn about 200NOIA tokens (worth about $10) on a weekly basis. Just set up your worker node and allow your PC run for a minimum of 72hours every week.